100% extra-soft cotton, Alternative Apparel brand t-shirt. 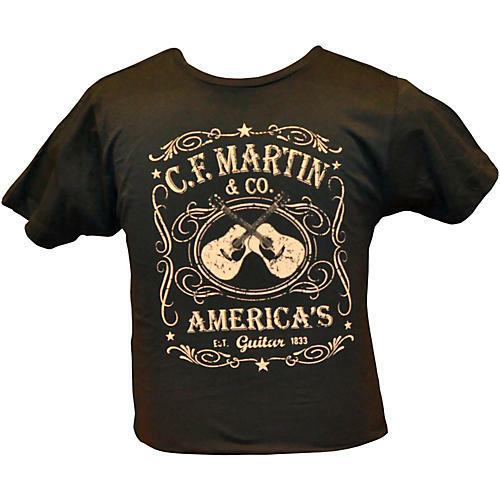 The C. F. Martin Dual Guitar Vintange Fitted T-shirt is made of 100% "extra soft" cotton. This Alternative Apparel brand t-shirt features a C. F. Martin logo and guitar design screenprinted in a "distressed" technique in taupe ink on front chest. Show off your favorite brand in style. Order today.